Imaginate has been fortunate over many years to be able to commission new theatre and dance productions created and lead by Scottish artists and companies. These works have then premiered and performed at the Edinburgh International Children’s Festival and have toured in Scotland just before or after the festival. Many have also then gone on to have long national and international touring lives. Commissioning new work relates to our central ambition of enabling more high quality children’s work being made in Scotland so that more children can experience work that is deeply engaging, innovative and inspiring. 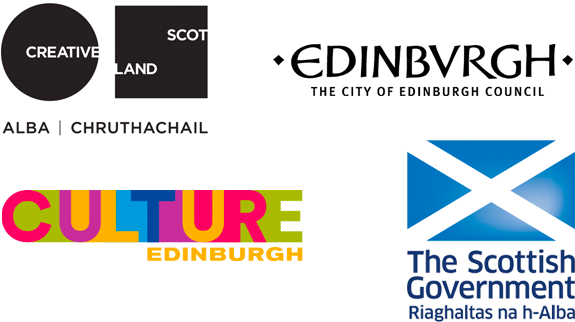 These commissions have been supported in large part by Scottish Government's Edinburgh Festivals Expo funding, and our ability to commission new work and enable artists to fully realise their production ambitions is dependent on this funding. There is no specific process for artists and companies to be commissioned to develop new work for the Festival. Rather, we encourage artists to keep us abreast of their plans for new work as they develop. We believe this approach keeps us flexible and responsive to artists' ideas and needs in a very competitive environment for funding. Most recently the works have been developed in partnership with key leading international companies and artists working in the field of theatre and dance for young audiences as we belive that this type of opportunity increases the touring life of the work instigated by Scottish artists. Below you will find a list of the productions we have commissioned to date.